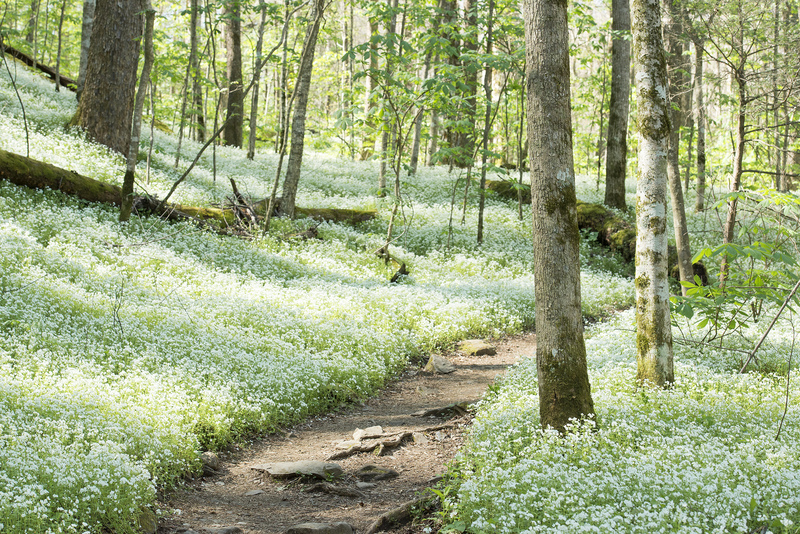 Here are a few more images from another great trail in the Great Smoky Mountains National Park. 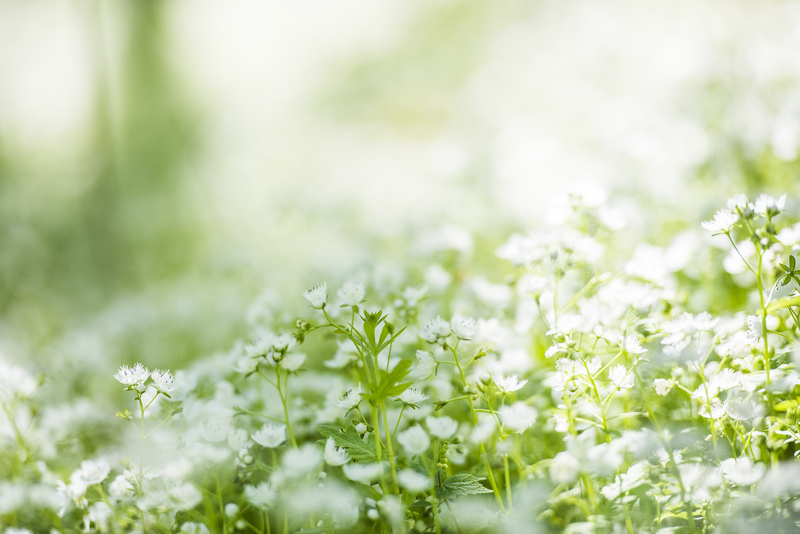 Porter’s Creek might be my favorite trail for wildflowers and that’s because of one small little flower and that’s the White Fringed Phacelia, or should I say millions of them !! Walking this trail starts out with a nice gentle trail that has many of the different flowers that grace the park, but after traveling up the trail for a mile you cross over a very entertaining log bridge and then walk into a different world. All across the floor of the gorge and up the side of the mountain are millions upon millions of these little flowers, it actually looks like you had just experienced a snow fall. It seems like it is right out of the Lord of the Rings or some other fantasy movie, it is one of the most beautiful sights I have ever seen. The actual bloom is about the size of a nickel which isn’t the largest broom out there, but when you have several million growing together it makes for an incredible sight to witness. If you ever get a chance to travel to the park in the spring this another one of those great hikes you will be glad you took. So here are a few shots from the hike, I included a macro version of one the plants and then some of the actual trail itself, thanks for stopping by and taking a look !! Posted on July 11, 2014 by Bernie KasperPosted in flower photography, flowers, Great Smoky Mountain National Park, life, macro, macro photography, nature, nature photography, photography, thoughts, West Street Art Center, wildflowersTagged Bernie Kasper, Flower, great smoky mountain, great smoky mountain national park, Great Smoky Mountains, Photography, tennessee, Travel and Tourism, Wildflower. Beautiful images! Sounds like an amazing place. Thank you it is truly special !! 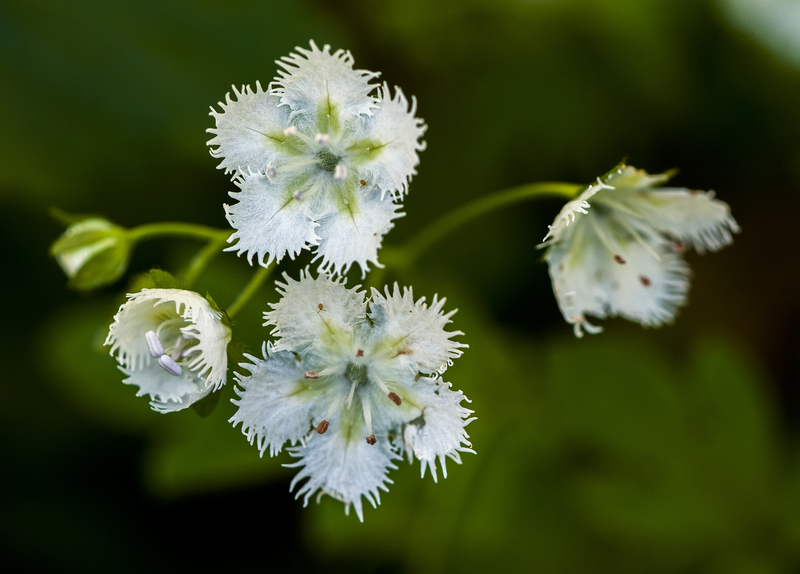 The White Fringed Phacelia is a gorgeous little flower. A carpet of them must be amazing. It is Steve a sight to behold for sure !! What a wonderful sight that must be! The blossom is gorgeous. You would love the view Terry !! Beautiful flowers and images – the number of flowers in the second image is amazing. These shots are absolutely gorgeous Bernie!!! The analogy to a snowfall is fantastic. A carpet of snow…..thanks for sharing them!